Andrew C. von Eschenbach, M.D. currently serves as President of Samaritan Health Initiatives, Inc. and as an Adjunct Professor at University of Texas MD Anderson Cancer Center. From September of 2005 to January 2009 he served as Commissioner of Food and Drugs where he championed an agenda to modernize the FDA by process improvement of the regulatory pathway for drugs and medical devices and by fostering creative projects, including FDA’s Critical Path Initiative (designed to bring modern tools of science to the product development process); work plans like the FDA’s Food Protection Plan; and most especially the nurturing of the workforce through initiatives, such as an Agency-wide fellowship program and development of a new integrated campus for the Agency in White Oak, Maryland. Under his leadership, the FDA experienced dramatic increases in resources enabling implementation of many new programs designed to strengthen the FDA in its mission to protect and promote public health. He has emphasized FDA’s role in working with external partners to assure quality throughout the entire life cycle of the products it regulates. Dr. von Eschenbach joined FDA after serving for four years as Director of the National Cancer Institute (NCI) at the National Institutes of Health where he set an ambitious goal to eliminate the suffering and death due to cancer by rapid acceleration and integration of the discovery-development-delivery continuum. While at NCI, he committed resources to ensure the application to oncology of nanotechnology, genomics, proteomics, bioinformatics, and other emerging technologies. At the time of his appointment by President Bush to serve as Director of NCI, he was President-Elect of the American Cancer Society. 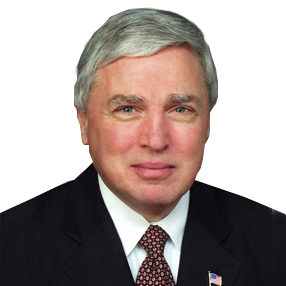 Dr. von Eschenbach entered government service after an outstanding career over three decades as a physician, surgeon, oncologist and executive that included numerous leadership roles from Chairman of the Department of Urologic Oncology to Executive Vice President and Chief Academic at the University of Texas M.D. Anderson Cancer Center in Houston, an institution world renowned for the magnitude and excellence of its clinical and research cancer programs. An internationally renowned cancer specialist and author of more than 300 scientific articles and studies, Dr. von Eschenbach has served in numerous leadership roles, including serving as one of the founding members of the National Dialogue on Cancer. He has received numerous professional awards and honors. In 2006, Dr. von Eschenbach was named one of Time magazine’s “100 most influential people to shape the world,” and in both 2007 and 2008, he was selected as one of the Modern Healthcare/Modern Physician's "50 Most Powerful Physician Executives in Healthcare." Dr. von Eschenbach earned a B.S. from St. Joseph’s University in his native Philadelphia and his medical degree from Georgetown University School of Medicine in Washington, D.C. He served as a Lt. Commander in the U.S. Navy Medical Corps. After completing a residency in urologic surgery at Pennsylvania Hospital in Philadelphia, he was an instructor in urology at the University of Pennsylvania School of Medicine. He completed a Fellowship in Urologic Oncology at the University of Texas M.D. Anderson Cancer Center. He has been married to his childhood sweetheart, Madelyn, for over 40 years, and they are proud parents of four children and elated grandparents of seven.